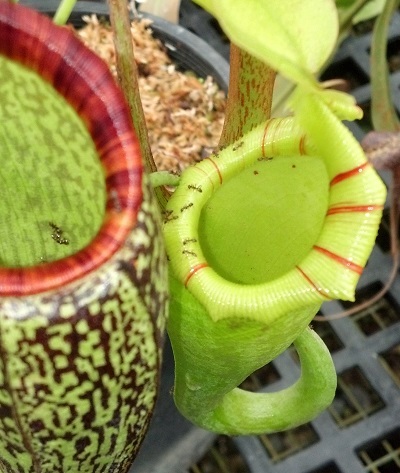 Those ants are going to town! 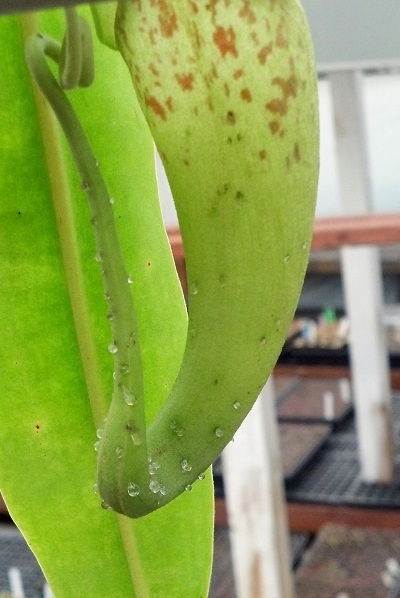 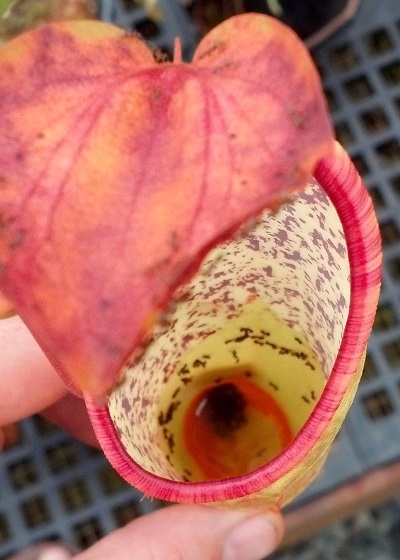 I’ve got quite a lot of ant action on my Sarracenia outside. 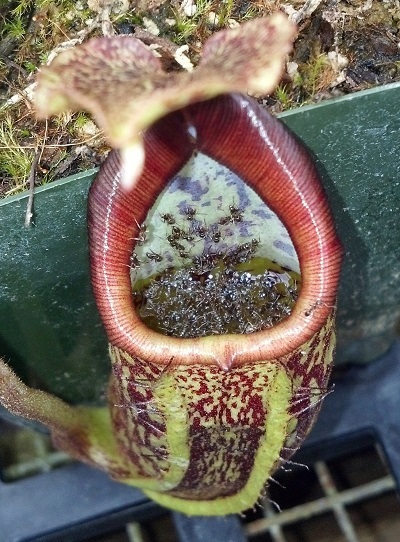 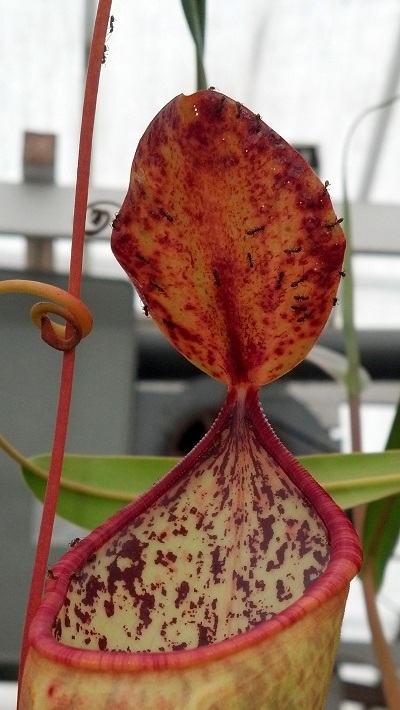 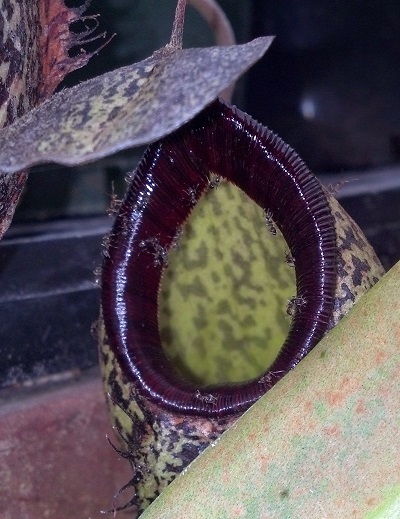 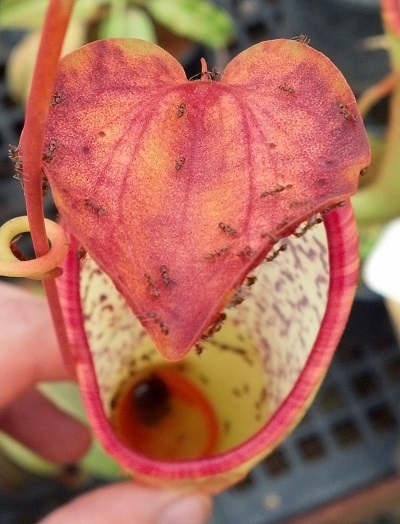 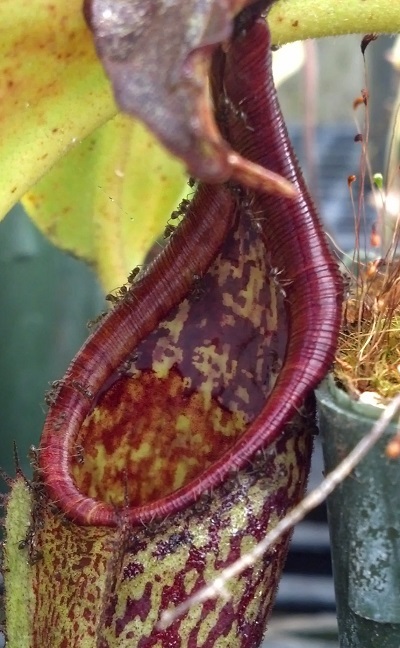 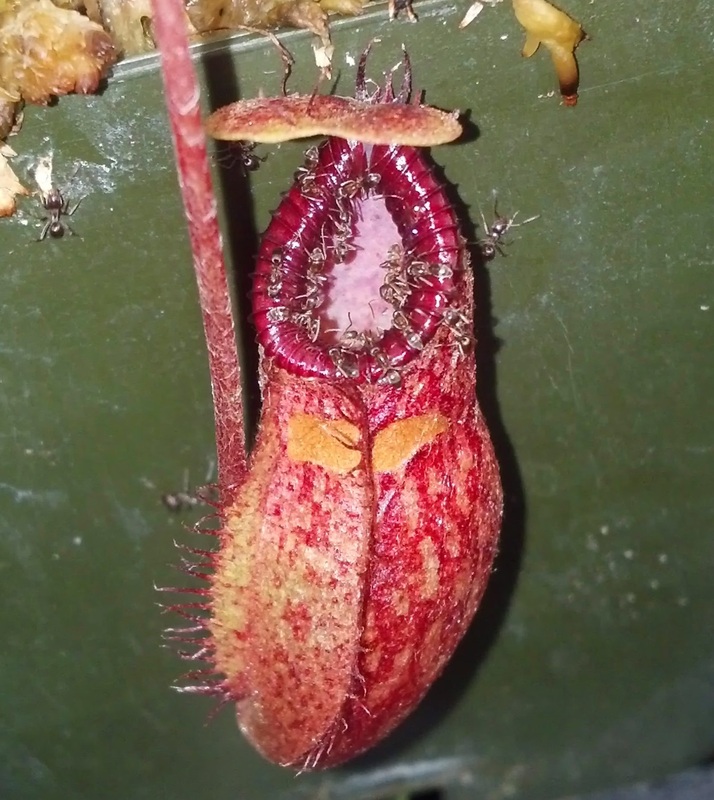 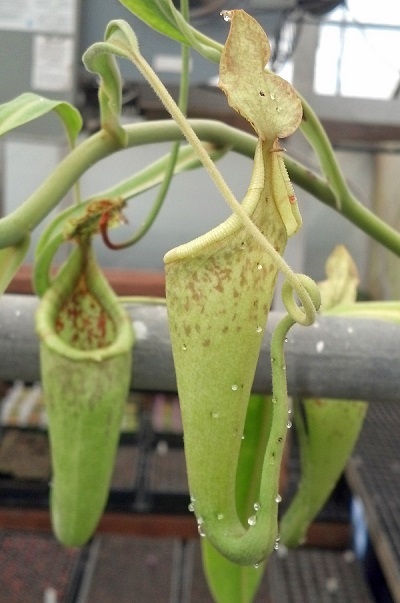 I think they’re feeding on the trapped bugs in the pitchers in addition to the nectar though.